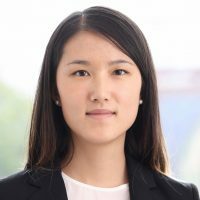 During her time at AICGS, Ms. Wang will be working on her dissertation studying the effects of family policies on women’s work and childbearing decisions in Germany. In the recent decades there have been many changes in family policies such as paid parental leave, childcare subsidies, and per-child subsidies in OECD countries including Germany, the U.S., and other European countries. These reforms respond to concerns about falling birth rates, low maternal employment, and large gender gaps in wages. Women bear the burden of childbirth and most of childrearing, which prove as significant obstacles for their careers. Not only do they lose wages when taking time off work, they also forgo work experience which is necessary to increase future wages. 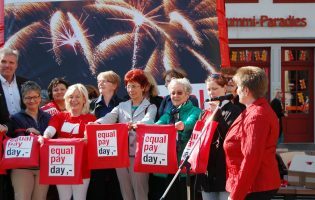 With women investing more in education and playing an increasingly important part in the overall workforce, family policies that promote women’s careers could provide a significant boost for the economy. Furthermore by reconciling family and work, family policies encourage women, particularly those with higher levels of education, to have more children. This is beneficial for sustaining social security systems, in which older generations depend on tax payments of younger ones. In her dissertation, Ms. Wang aims to investigate which policy packages are most effective at achieving a set of goals relevant to most OECD countries.